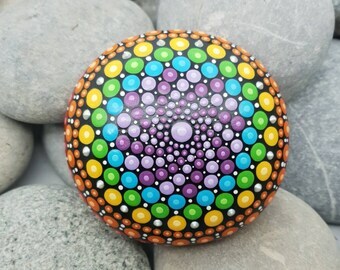 A beautiful chakra rainbow rock art in a sacred geometry design. 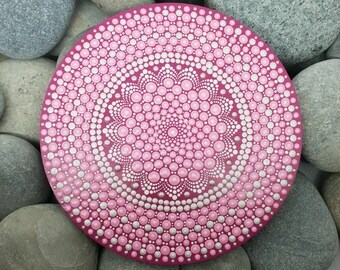 This hand-painted mandala stone is natural from the beaches of the French Riviera. 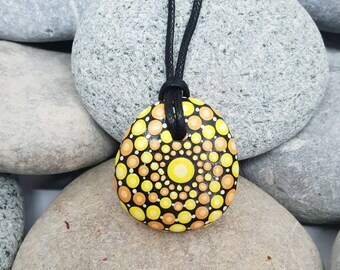 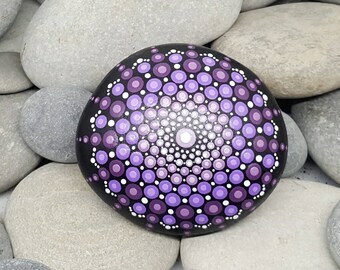 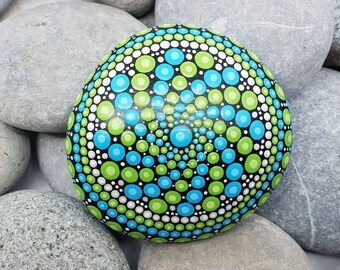 This painted rock all black, with detailing in a rainbow mix of colours; representing the chakra with white detailing and a lighter shade of each colour to finish every dot. 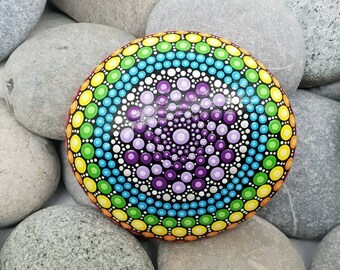 The stone has been coated twice with a clear satin varnish for protection. 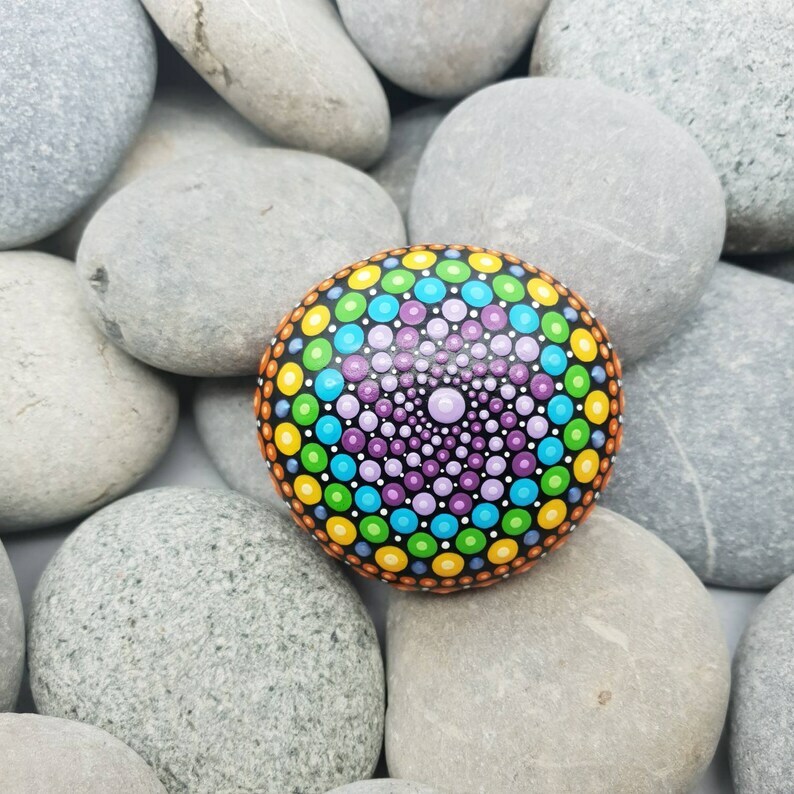 These stones can be used to aid in meditation, to help bring peace and calm, or home decor! 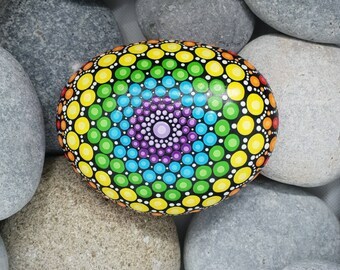 The list is endless; it is up to you what you want to do with your stone! 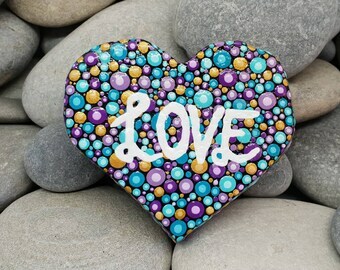 They make great gifts; and remember any stone can be personalised with an initial or design of your choice on the back! 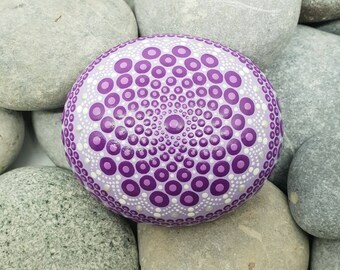 Please remember this is a natural stone. 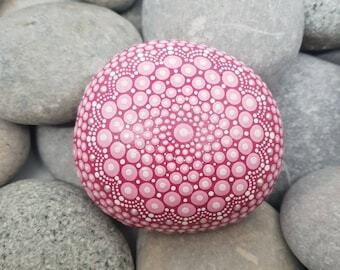 There may be imperfections on the stone, it is not edited in any form from how it is found; only painted with love! 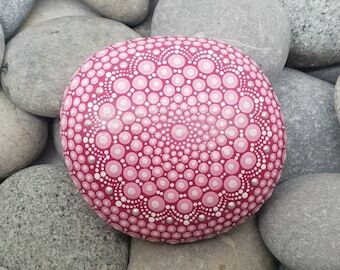 I try to find the smoothest stones possible but of course with natural beach stones that is not so easy. 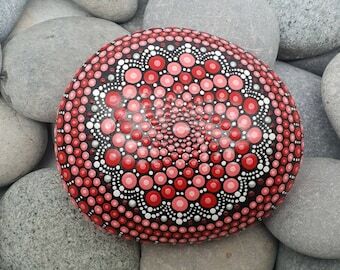 If you have a special request for a mandala rock, please do not hesitate to get in touch. 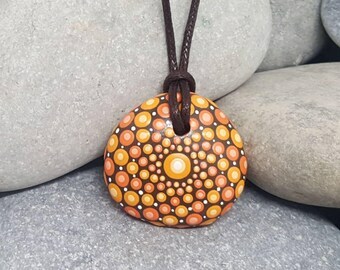 Maybe you have a specific colour design request, want a message on the back, or you have a wedding and want a collection for wedding gifts, whatever your request I will be happy to do my best to fulfil your requirements!